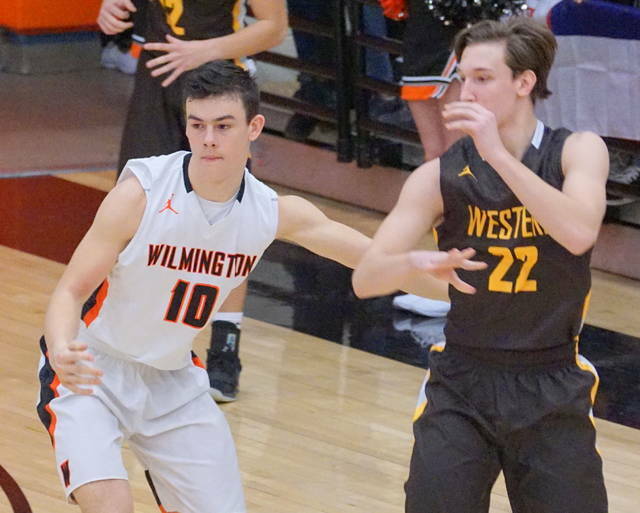 WILMINGTON – Wilmington held off several Western Brown charges to down the Broncos 56-45 on Senior Night Friday at Fred Summers Court. 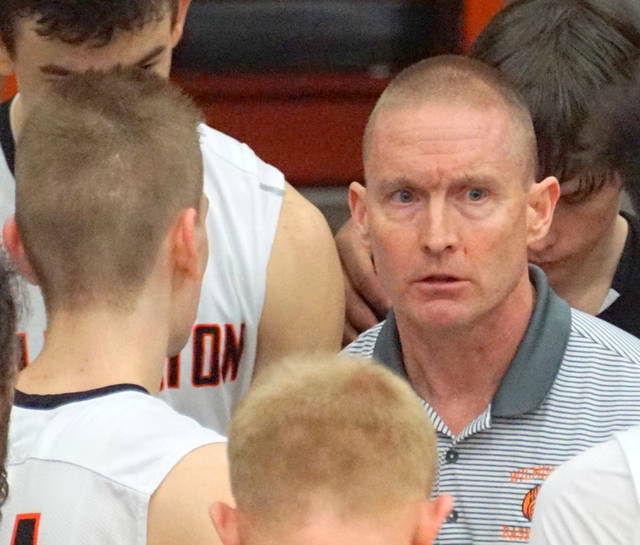 The Hurricane (7-7, 4-3) is tied with Goshen for second in the SBAAC American Division, two games behind Clinton-Massie. 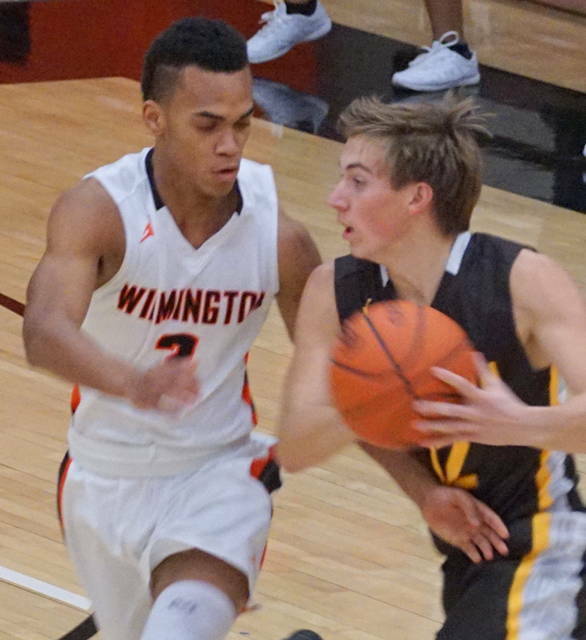 Wilmington also avenged a 21-point loss at Western Brown Dec. 14. 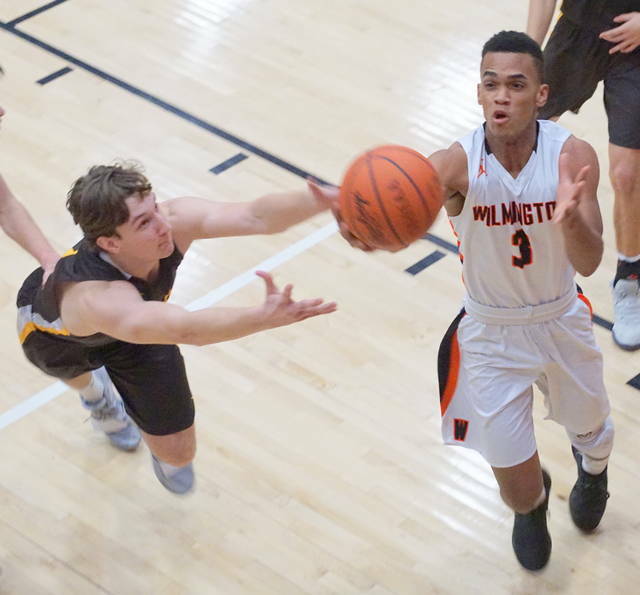 Will Morris buried five treys for the Hurricane and led all scorers with 17 points. Matt Butcher nailed four from behind the arc and ended his evening with 14. Cameron Coomer added 12. The Hurricane led most of the night, with the exception of trailing 3-0, 17-16 and 25-24. 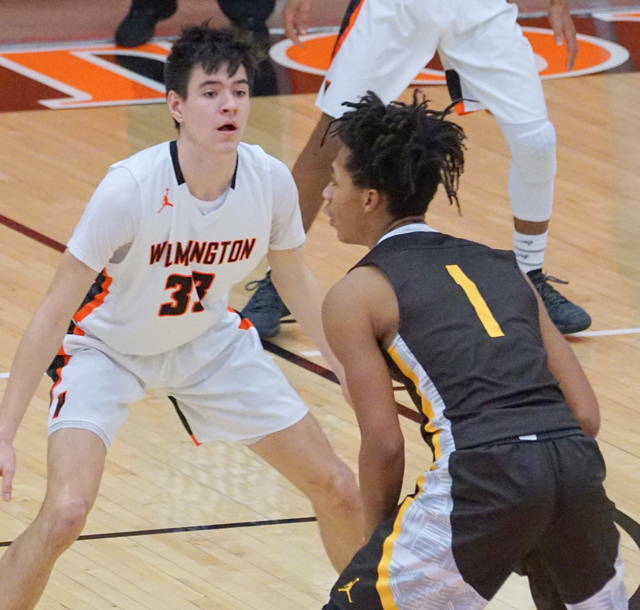 Wilmington responded to the latest deficit with nine straight points to lead 33-25 with 3:22 left in the third period. 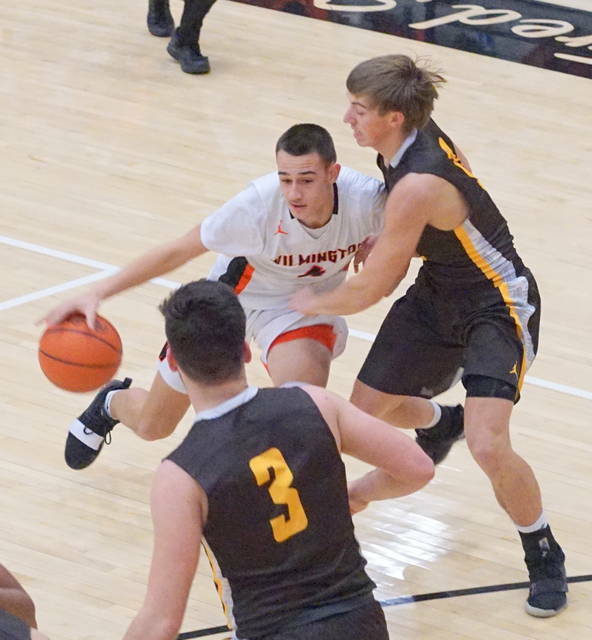 The Broncos (11-6, 3-4) scored the next seven to pull within a point, but Butcher and Coomer turned away the threat with threes in the final 25 seconds of the period. 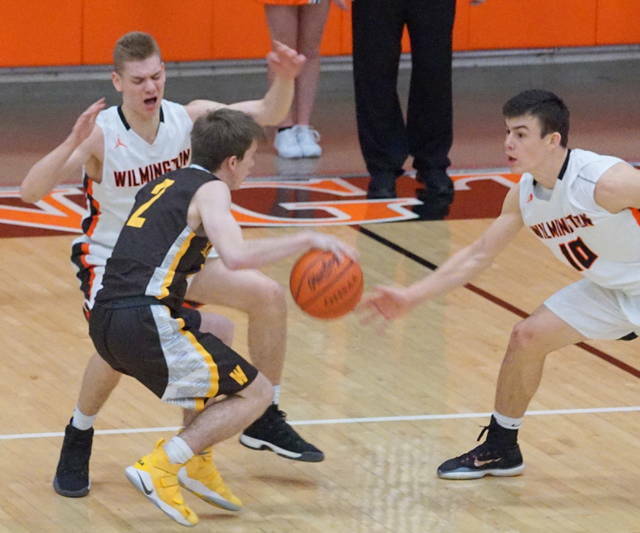 Western Brown continued nipping at Wilmington’s heels in the fourth quarter and was within one possession of the Hurricane, 46-44, with 2:15 left in the contest. But Wilmington scored 10 of the final 11 points to seal the game. 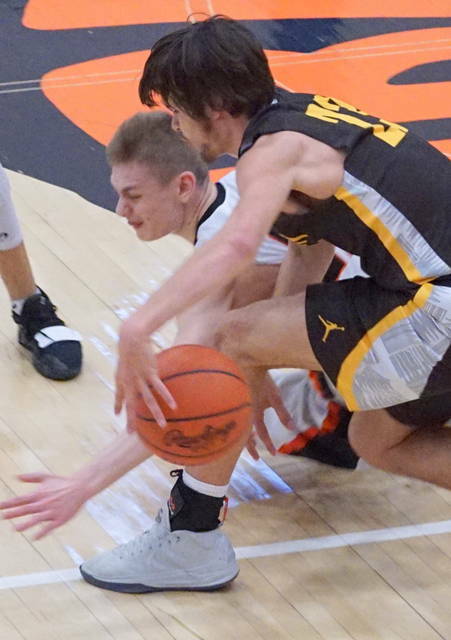 “We handled the ball better in the last minute and a half, two minutes, and for the most part, and we kept our poise, and were able to finish the game,” Noszka said. Josh Taylor led Western Brown with 12 points. Wilmington dropped the JV game 62-51. 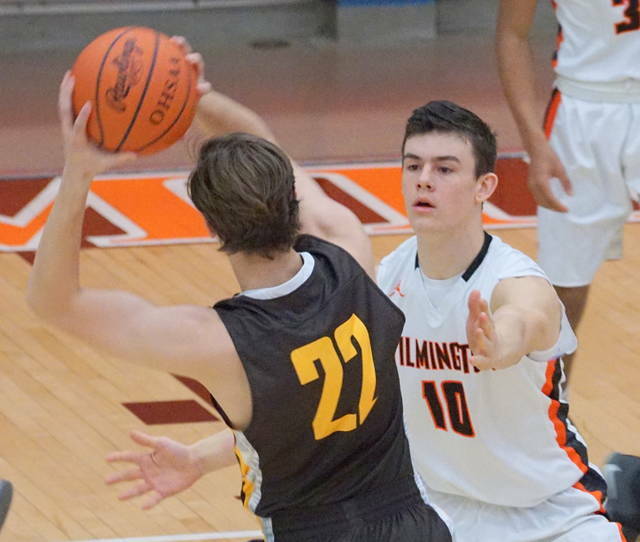 Collin Barker led the Hurricane with 15 points. Brett Brooks chipped in with 11. 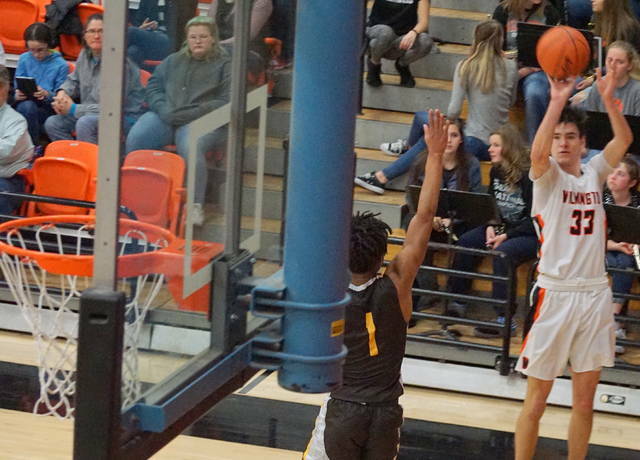 Jackson Miller led the Broncos with 20 points. Cade Chisman added 18. (45) WESTERN BROWN (fg-ft-tp) Williams 1-2-4, Taylor 5-1-12, Carroll 1-0-2, Crall 3-4-10, Tull 3-0-6, Whitaker 0-0-0, Keller 1-1-3, Shaffer 3-0-8. Total 17-8-45. 3-point goals: 3 (Shaffer 2, Taylor). FTM-FTA 8-12, 67 percent. 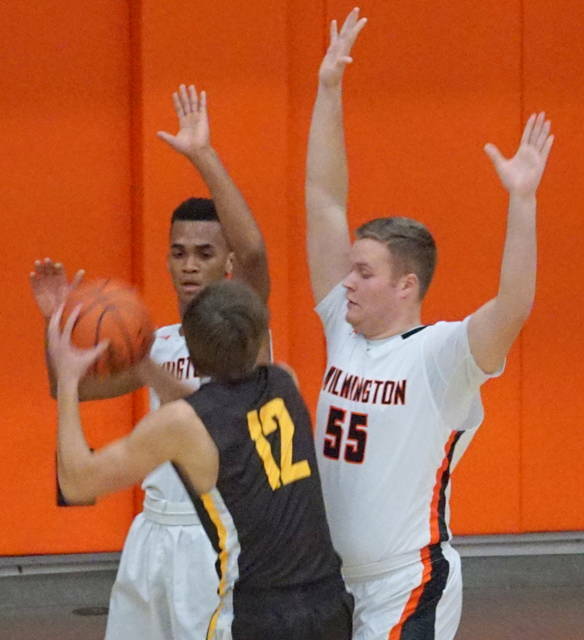 (56) WILMINGTON (fg-ft-tp) Morris 5-2-17, Coomer 3-5-12, Custis 1-2-5, Jacobyansky 1-4-6, Butcher 4-2-14, Sweeney 0-0-0, Anicic 1-0-2, Stewart 0-0-0. Total 15-15-56. 3-point goals: 11 (Morris 5, Butcher 4, Custis, Coomer). FTM-FTA 15-21, 71 percent.